Do I really have to say FANTASTIC again… Yes!!! 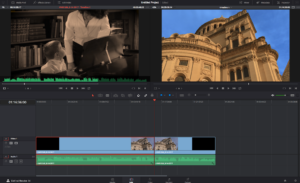 I have been working with Davinci Resolve since 2009 – I think that was version 7’ish… I was coming from Apple Color and that was a toally different workflow. In an earlier post I raved about version 9 as being the first point I felt comfortable in Resolve. Then as things progressed BMD rebuilt the GUI and added things like basic editing, better audio control and generators. Then came version 12 where they seemed to have found the right balance between grading and editing. Then… 14! Now the editor is really nice and zippy. There is on-board audio sweetening. And, the whole engine got a rebuild from the ground up. i.e. Zippy. I’m running Resolve 14 Studio on my 2009 Mac Pro tower and on my 17″ MBP. It works well on both – although the tower has 24 gigs of RAM (soon to be 48) and 2 GPUs. I have been trying HD, UHD and 4K DCI in ProRes and 4K RAW from my Fs5 + Shogun. Everything is working. The CDNG RAW is a little more daunting but I can play it back and work with it and not have to decoding which is really helpful. These have just been test with the RAW and I’d likely use a proxy workflow on a real project to save space and time. For backing up I can output an XML and DRP file to the project folder and then everything is in one place should I need to pick up the project in a year or two. With the addition of the Fairlight audio engine you are pretty much set for audio. I have had to occasionally go out to Adobe Audition to do some heavy lifting for audio cleanup but not that often. I like the basic audio controls you have in the editor window and then the Fairlight window is where all the goodies are. And of course the Color section is, well, FANTASTIC. Like most people I started using Resolve to do smooth color correction and grading. This feature has improved with every update. It’s now far more powerful and feature rich than ever. I’m still a newbe when it comes to real correction and grading styles. Like most shooters that edit, I make it look good, maybe throw a LUT on it and call it a day. But when I have to go deep, the app is ready and waiting for me. With my upgrade to the Studio version, I have the on-board de-noiser, all of the real time EFX and the film grain filters. As I move into more work on Web series project that have a style this is super handy. 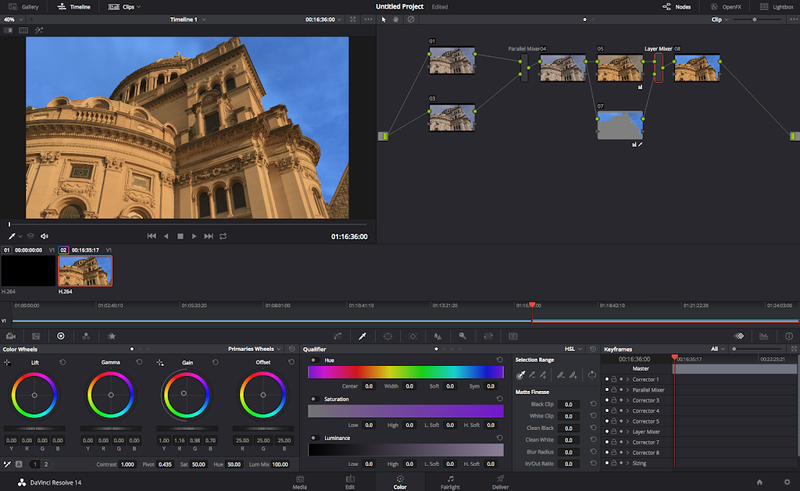 In the new world of collaboration, Resolve 14 is set for playing well with others. You can share projects with team members on the network and / or system. I haven’t had a chance to use this yet myself but hope to soon. 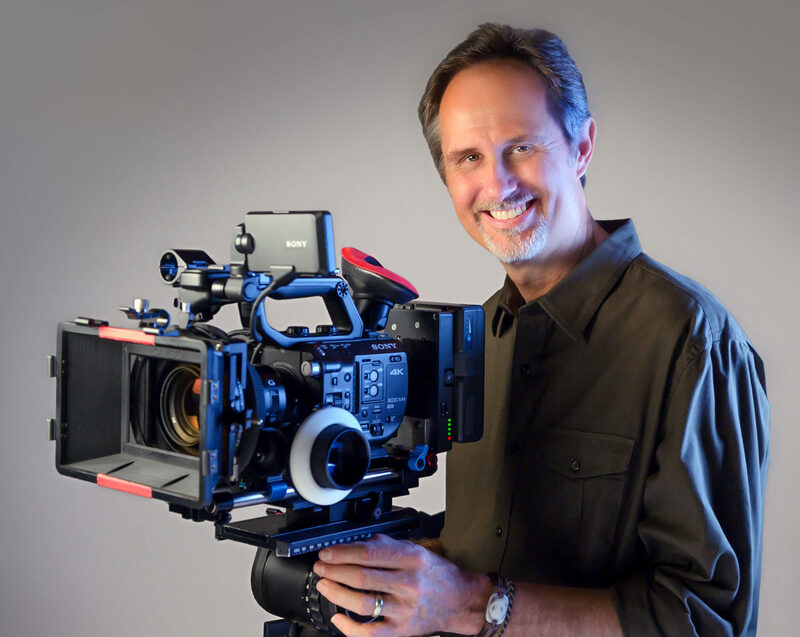 The demo I saw last fall at the Blackmagic Design showcase was awesome. I’ll update this post as soon as I have some more experience with this feature. Now, lastly, the Delivery page is brilliant. I now can choose from a variety common output settings for things like YouTube, Vimeo, Premiere Pro, Final Cut, etc. and be spot on. 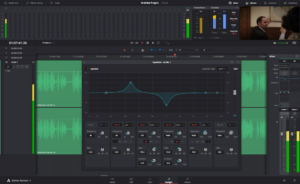 Also you can build your own presets for frequent operations you preform like window burns and specialty codecs for TV stations and other internal web systems. Hope this gets you interested in Davinci Resolve. 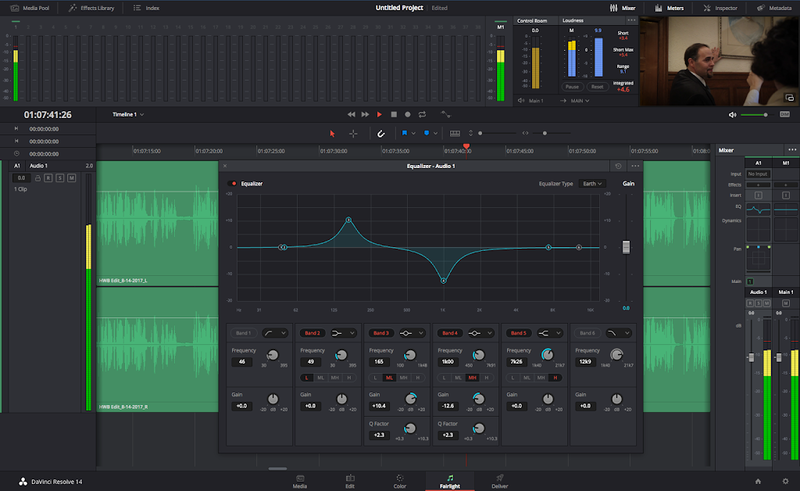 You can download the free version and start using it and then move to the full studio version for only $299 when you’re ready. I have a lot of clients that want to try a cut of their project on their own and I suggest they use the free version and then send me the cut and I can start from where they left off… Pretty Cool!